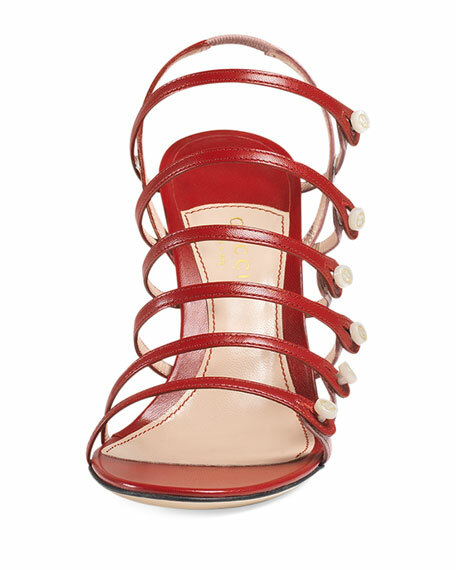 Gucci two-tone kid leather sandal. Ladder-strap vamp; mother-of-pearl GG buttons. "Aneta" is made in Italy. For in-store inquiries, use sku #1635627.